For nine consecutive Saturday nights each winter in Hartland you’ll find long lines of hungry diners at the First Congregational Church. Also known as the Brick Church, it has been the home of "Hartland’s Famous Roast Beef Suppers" since 1966. The first 100 patrons are seated at 4:30, but if you want to be first in line, you need to get there around 3. Arrive after 6:30 and there’s usually no wait, but your dessert options (or the list of pies) also diminishes. The Roast Beef Suppers’ most famous fan used to arrive early. The late J.D. Salinger would usually be first in line and would sit and read or write while waiting for the first seating. Recently, VPR’s Ric Cengeri visited the Hartland Brick Church for a taste. 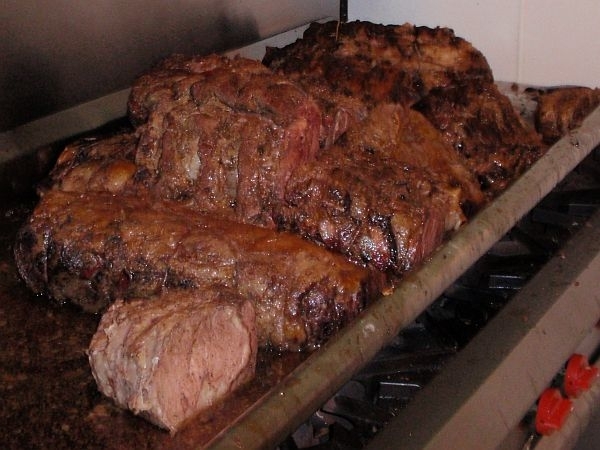 Note: The last Famous Roast Beef Dinner of the season is this Saturday. Finding greater energy efficiency is a proposition facing many Vermont communities, and towns hoping to save on energy costs are starting small – with their streetlights. A group of Southern Windsor County towns is looking into the possibility of a shared, regional police force. Officials say the policing needs of Vermont towns are changing.